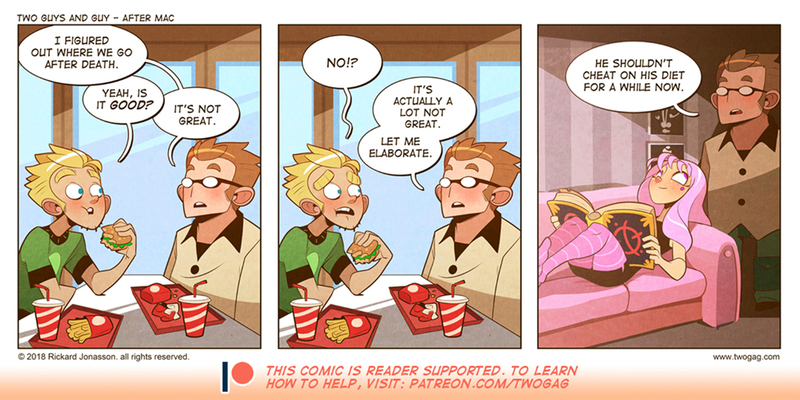 This comic is reader supported. To learn how you can help keep Twogag updating, visit the patreon page. Your support is what keeps this comic going. Hey guys, Just letting you guys know that the patreon is starting to dip uncomfortably close to be under the $500 per comic mark, which is the amount that pulled the comic back from beyond the grave. Twogag will remain free to read for everyone but if it's not supported updates will slow.